Change your life into a relaxed and tam lifestyle, The Gocomma X2 allows you to be away from home or even go on a long vacation with peace of mind leaving your property, family members or pets at home. In white and black, the Gocomma X2 1080P HD Smart IP Camera features Motion Detection / Night Vision / Two-way Audio / Yi Cloud Storage, and much more. This camera records its feed directly to an internal SD card, and you can access your feed remotely using the APP on any device. Gocomma X2 1080P HD Smart IP Camera has Smart functions combined with a unique style. Here effectively played with white and black colors. The memory card slot is hidden from prying eyes. The head has a circular shape at the rear part thereof has openings for cooling and good air circulation. You can use a smartphone, tablet, TV, PC or laptop for remote viewing. Choose what you prefer, and monitor your home at any time and in any place. 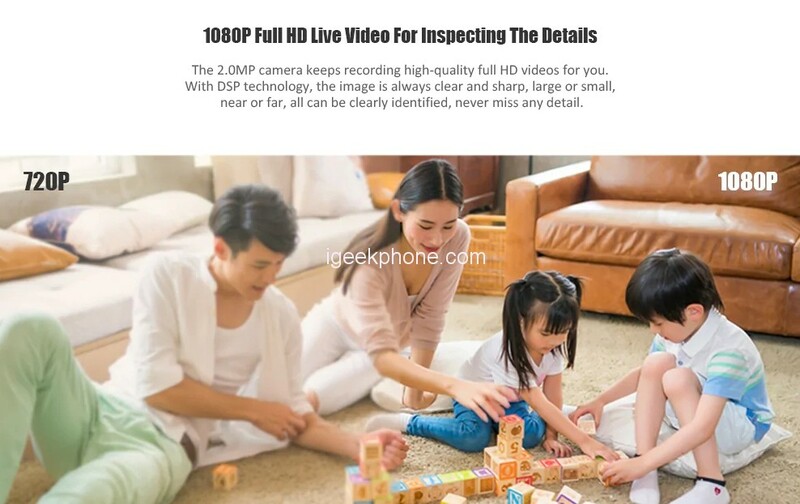 The base Gocomma X2 1080P HD Smart IP Camera has threaded mounting screw. So you can choose different installation options: on a table, wall, ceiling. This is also making the camera travel-friendly. 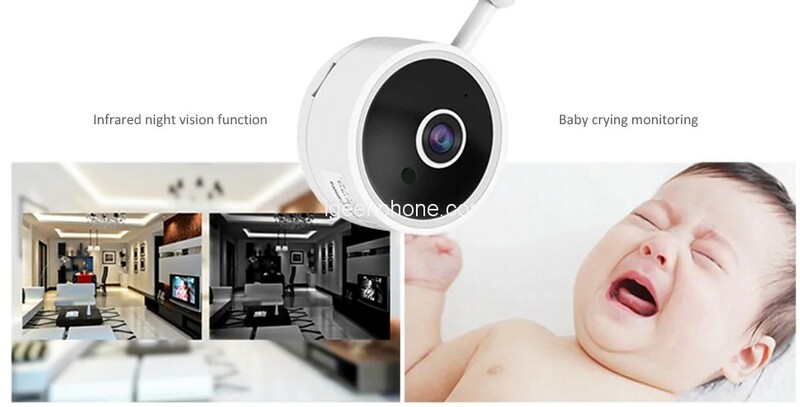 The overall dimension of Gocomma X2 1080P HD Smart IP Camera is 11.20 x 6.50 x 4.50 cm / 4.41 x 2.56 x 1.77 inches and its total weight is just 0.0800 kg. The camera is very lightweight and tiny to be fixed or carry anywhere. The Gocomma X2 1080P HD Smart IP Camera is designed to provide you with everything you need to monitor to help protect your home. The Gocomma X2 has motion monitoring and you will receive a notification from your mobile app when any activity is detected. You can monitor your home from anywhere, regardless of the day or night 24H guard. The Gocomma X2 has 6 infrared night vision lights that automatically activate night vision when the light is dimmed. The Gocomma X2 supports two-way voice, built-in microphone and speaker Keeps you connected with your family, with baby cry monitoring, SD card storage and free 7-day cloud storage. 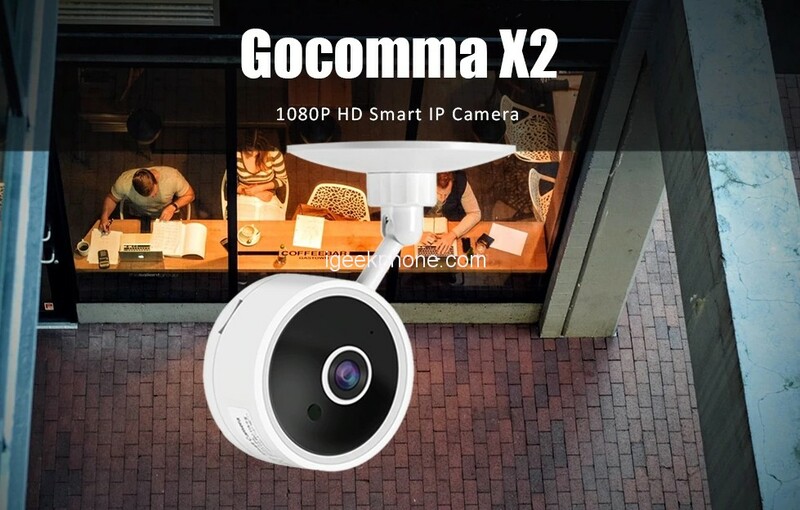 The Gocomma X2 1080P HD Smart IP Camera is an excellent IP camera, feature-rich and comes with a very affordable price tag. Most of all, this is manufactured by a very well-known brand Gocomma. So we can surely trust this device. 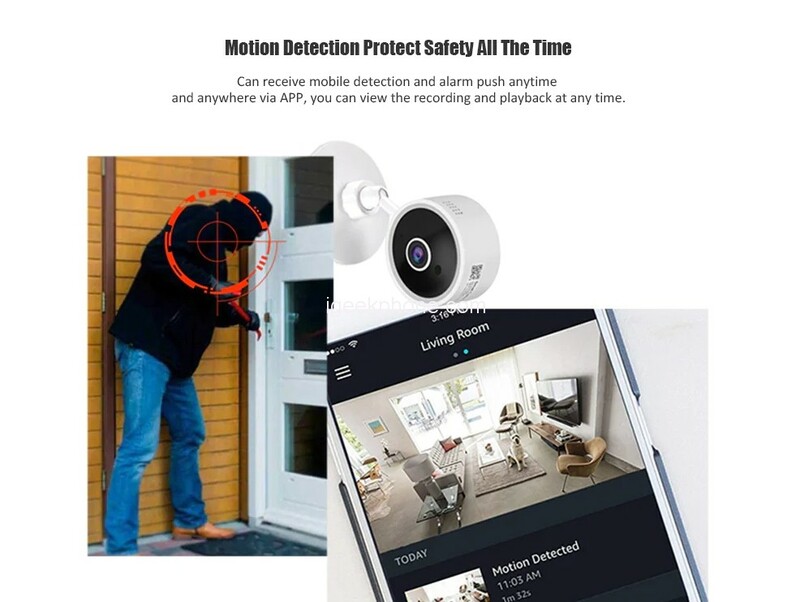 If you are looking to improve your home security, I will definitely recommend you to try this awesome gadget. it’s Available on Gearbest at $26.99 in Flash Sale.